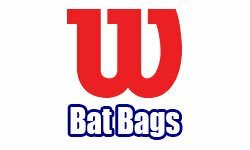 Wilson softball and baseball equipment includes Wilson Baseball Glove, Wilson Softball Glove, Wilson Baseballs, Wilson Batting Helmet, Wilson Softball Bats, Wilson Baseball bats, Wilson Catching Gear, Wilson Accessories and Wilson Equipment Bags etc. 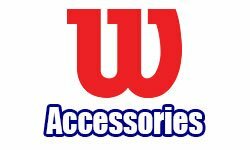 Wilson softball and baseball equipment is popular for its quality and durability. Each of Wilson products is distinct. 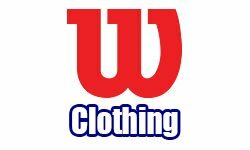 All products among Wilson softball and baseball equipment are made from high quality material. 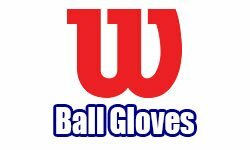 Wilson softball and baseball gloves come with some exclusive features. They are made from top grade leather long preferred by Major League players for its comfort, consistency and durability. Among bats there are different varieties. Wilson presents DeMarini Vexxum Longbarrel Youth Baseball Bat. This bat combines dx1 alloy which combines high yield strength with fracture toughness for the perfect balance of strength of strength and durability. The LONGBARREL technology provides the toughest barrel at maximum diameter for the largest sweet spot in baseball. The VARIWALL construction adjusts wall thickness along the barrel, putting the power where you need it most. Wilson softball and baseball equipment is very popular all over. Among the training equipment, the Wilson Soft Toss Machine is a very useful item for practice. The machine tosses balls in a 6� arc every six seconds. It holds 14 baseballs or 10 softballs. The Wilson Easy Toss comes with fully rechargeable battery that lasts 6 to 8 hours. The Wilson softball and baseball equipment includes Wilson Equipment Bags, Wilson Baseballs and Wilson Catchers Gear. 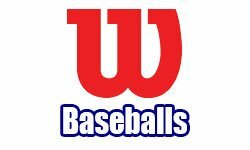 The Wilson baseball is made of Grade Full Grain Leather with Red Cushioned Cork Center and Premium Grey Wool. The Wilson Catchers Helmet A 3133 Adult model is made of lightweight high-impact absorbing polymer construction and high-impact absorbing EPP liner and fitted with Vinyl nitrile comfort form liner for fit and comfort and enhances peripheral vision. It comes with fully adjustable5-point backplate strap, adjustable strap and padded chin cup. Among the Wilson Equipment Bags, the Wilson Pudge Plus On Wheels comes with inline style wheels and a durable reinforced plastic bottom. 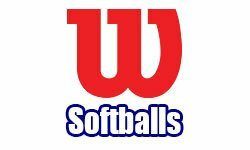 The Wilson softball and baseball equipment is dependable and long lasting.